Progressive Charlestown: Good News! Pour a glass for me! The next time you call someone a drunken pig, remember this study. Rhode Island Hospital researcher Frank Sellke, MD, chief of cardiothoracic surgery at Rhode Island and The Miriam hospitals, and his colleagues studied the effects of red wine and vodka on pigs with high cholesterol and found that the pigs with a penchant for pinot noir fared better than their vodka swilling swine counterparts. The paper is published in the September issue of the journal Circulation. 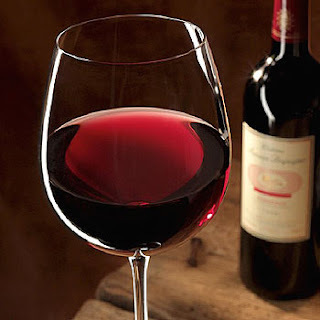 “There has been previous research touting the benefits of moderate consumption of wine, but we wanted to test the effects of both wine and vodka in conjunction with high cholesterol as those who would be in this at-risk patient population typically have other medical issues, such as high cholesterol,” said Sellke, the study’s principal investigator. The study involved three groups of swine that had been fed a high fat diet. One group continued on the diet alone, the second was supplemented daily with red wine, and the third was supplemented daily with vodka. The wine and vodka was mixed with the pigs’ food, and the dosages were selected to provide equal amounts of alcohol to both treated groups. After seven weeks, it was determined that the subjects that had been given wine or vodka had significantly increased blood flow to the heart, with the red wine having the larger cardiovascular benefit. Additionally, it was determined that HDL, or good cholesterol, was significantly increased in the two alcohol-treated groups while total cholesterol levels were unaffected. HDL (good) cholesterol transports LDL (bad) to the liver where it is metabolized, which may assist in preventing hardening of the arteries, or atherosclerosis, and other cardiac issues. Through this study, researchers determined that while both red wine and vodka can benefit the heart, they do so differently. Red wine dilates blood vessels, while vodka caused more collateral vessels to develop. These finding shed new light on the mechanisms by which moderate alcohol intake might reduce cardiovascular risk. Whether these beneficial effects are also seen in humans remains to be seen. Previous studies have shown that beer, wine and spirits are associated with reduced cardiovascular risk. In particular, several substances unique to red wine have been investigated for their antioxidant, pro-angiogenic and anti-inflammatory properties. The most well known is resveratrol. However, it’s important to note that even among red wines, there is a large variation in actual resveratrol content. Though Californian pinot noir is reported to have one of the highest resveratrol contents, the amount of resveratrol in the wine chosen for this study was lower than that reported for other red wines. The study was funded by three NIH T32 grants (HL094300; HL076134; HL007734) and three additional NIH grants (RO1HL46716, RO1HL69024; RO1HL85647. Sellke’s principal affiliation is Rhode Island Hospital, a member hospital of the Lifespan health system in Rhode Island. He also has an academic appointment at The Warren Alpert Medical School of Brown University. Their research is fully supported by Rhode Island Hospital and the Lifespan health system. Other Lifespan researchers involved in the study are Louis M. Chu, Antonio D. Lassaletta, Yuhong Liu, Thomas Burgess, Joseph D. Sweeney and Tun-li Shen.